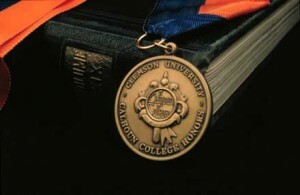 Can you imagine having to pay your college if you want to graduate with honors? I have never heard of this before. I am not sure if this a new fee or if it is just something that has not crossed my purview during the last decade and a half that I have spent as a college administrator. Apparently 629 students that recently withdrew from the honors program at the University of Arizona don’t believe in paying this type of fee as well. The University imposed a $500 annual fee onto participating students this last year. Attendance in the program quickly went from 3,745 students down to 3,116 as students started dropping out left and right stating that the fee was the cause for their departure. In addition, the college has set up a scholarship program to help students that find the new fee financially burdensome and may have to cease being a part of the program due to inability to pay. 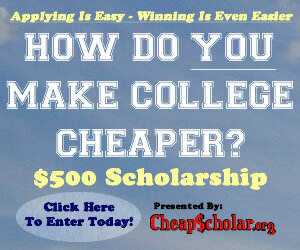 Here is a copy of the application form to be considered for this scholarship. If you are interested in learning more about the policy supporting the implementation of this fee, you can check out the “small print” here. As for me, I am not a big fan of miscellaneous fees popping up on campuses across the nation. However, I understand the importance of them as they provide needed funding for critical programs and services that students enjoy. So.. the lesson for today… if finances are a driving force behind your college selection process, make sure you have a full understanding of all the fees that you may encounter at the school of your choice. State budgets are tight and colleges and universities counting on sustained funding from their governors (and not receiving it) are starting to look at other sources to help make ends meet. Unfortunately, there are only two ways in which a college can help the bottom line, they either have to increase net tuition and fees or rely upon the fund raising office to bring in the funds. Arizona’s three state universities are selecting the first option (raising tuition this coming fall semester) to put the budget back in the black. The University of Arizona is leading the pack by pushing a 31% increase in tuition and fees for undergraduate students attending next year. Arizona State University is close behind with a 19% increase for incoming students and a variable increase (estimated to be around 14%) for all returning students depending on which year they started. Northern Arizona University rounds out the increases by proposing a 16% jump in fees for the 2010-2011 academic year. Northern Arizona University is making a compromise to incoming students by freezing their tuition at that level for the next eight semesters. However, after that, they will be susceptible to future increases. Of course, these fees have to be approved by the Arizona Board of Regents but given that they increased tuition twice last year, it is very likely that they will easily put their stamp of approval on these tuition increase proposals. In 2008, these three institutions received $1 billion dollars from the state budget. In 2009, they received $810 million and in 2010 they are on schedule to lose another $231 million in funding. It certainly does not make the tuition increases any easier on the checkbook of students attending these institutions but it does help to provide some understanding for the significant jump in fees.